This is an advanced version of the FK708 Am Radio Receiver Kit. Create your own fully functional tunable radio receiver and listen to your local broadcast stations! 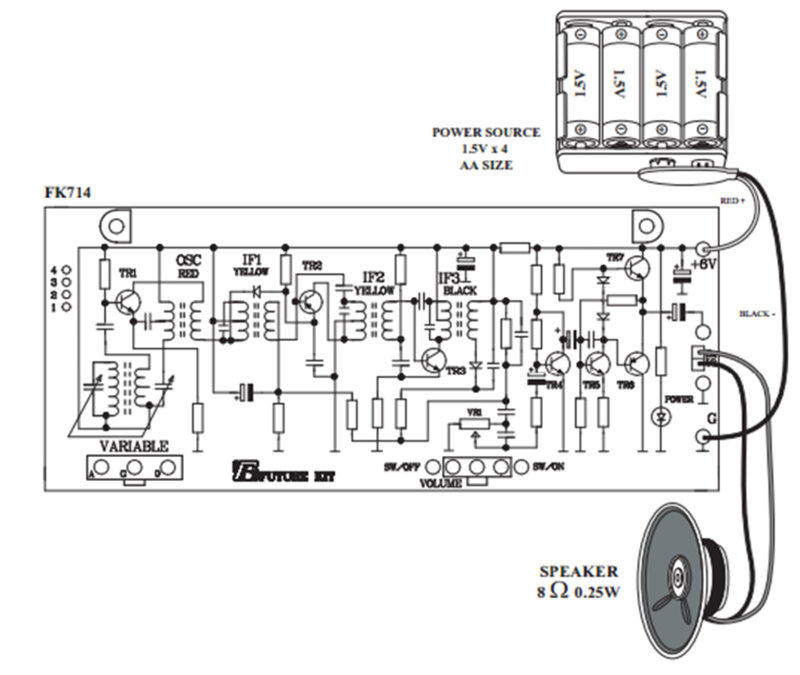 This kit features additional intermediate frequency filtering (IF) and an output transformerless (OTL) amplifier circuit for higher performance. This is a great educational kit for learning about electronics and radios.